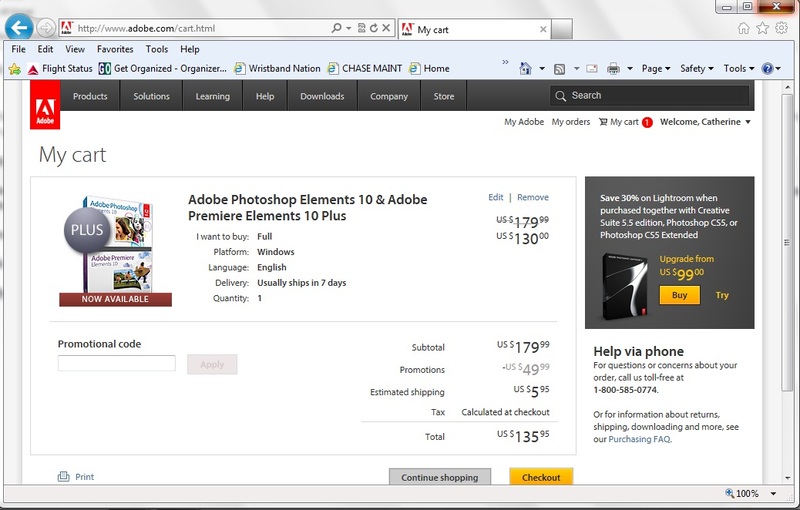 I went to purchase the new Plus version of Elements 10. The cart came up $135.95. When I hit check out it disappeared and is now $179.99. Thats just wrong. I did a snapshot of my desktop to proove it. I also chatted online with a rep and they were no help. I am owed the version at that price. I have not heard from anyone. I have the snapshot and tech coorespondence to send if needed. I see someone is on the case. I'll ping them to see what the status is. Thank you I have been contacted and looking forward to the resolve! !